Hi Friends! Last night, I introduced Dave Ramsey's 7 Baby Steps with the aim of giving you hope that you can achieve your financial goals by following a proven step-by-step plan. This is not an achieve-your-financial-dreams-in-30-days-type plan... no, no... sorry... not sorry... this is a you-decide-today-to-take-control-right-now-for-the-rest-of-your-life plan. No, it won't likely be easy. Yes, you'll most likely have to make short-term sacrifices for long-term gain. It will require some work and effort, but very worthwhile work and effort. If you're ready to commit and make a change or if you're already familiar with Dave's Baby Steps and, like me, want to make sure you're still on track, let's get going. Baby Step 0 isn't officially a Dave Ramsey Baby Step, but it is mentioned on his show and is just as important as the other steps. The first penny-sized step in Baby Step 0 is to commit to NEVER borrow money for ANYTHING (except maybe a home) EVER again. That means you only buy what you can pay for right now. This includes everything from your morning takeaway coffee to paying for big ticket items with cash or in full at the end of the month with a credit card. New smart devices, new or used cars, holidays... you will commit to saving for them BEFORE you purchase them. I know, you want it now, but you're an adult. DR strongly encourages destroying credit cards so that they can't ever be used again. There's a few reasons for this; Dave says, "Getting out of debt is 80% behaviour and 20% head knowledge. Credit card companies know this... you spend more with plastic than you do with cash." I can imagine you gasping at this realisation! Handing over cash when you pay for something equates to pain. If you pay cash for your purchases, you'll likely spend 22% less (according to Dave) than if you were to pay by card. That's massive! You tend to impulse buy when you know you're paying by card and it won't hurt... but if you keep in mind that you're going to have to part with cold hard cash at the checkout, you're more likely to only buy the necessary items on your list - you do shop with a list, right?! I'm going to go off on a tangent for a minute. Aren't contactless credit cards so convenient? I never have to carry cash. I can buy little things here and there so effortlessly! No! No! No! Based on the idea that parting with cash induces painful emotions, contactless credit cards induce hardly any negative emotion at all! Credit card companies think this is great! Customers are spending willy nilly, not realising how much and how often they're spending money! Then the credit card statement comes at the end of the month and customers are shocked at how much they've mindlessly spent! Then they get mad a credit card companies for being evil and forcing them to pay back the money they've borrowed... and if it's not paid off IN FULL (in Martin Lewis' booming voice) this month, they're charged interest on these practically effortless, mindless purchases. I'm going to have to write a full blog post on this with more statistics (*note to self!). So what can you do? Stop using credit cards. Ahh! That's scary! Well, not really, but admittedly, I've been trying to convince myself to do this for at least a couple of years. 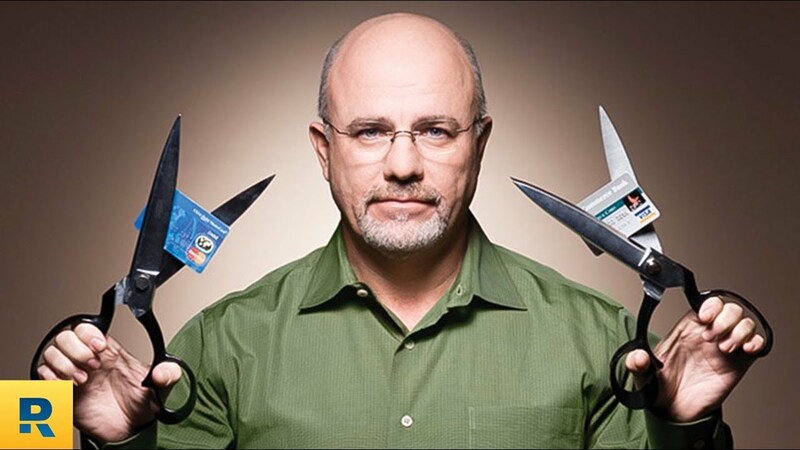 I don't love to carry lots of cash on me, nor do I want to have to go to the cash point all the time; I could use our debit card, which Dave Ramsey does himself which would prevent any interest being charged on top of the purchase price as with a credit card. Although I am very careful with what I spend due to following a budget, and perhaps I could spend even less by only spending cash... perhaps I'll challenge myself to do this for a couple months and let you know know how I get on. What you can do if you're not ready to cut up your credit cards is to simply stop and think before making a purchase. Do you really need what you're about to buy? Is there an alternative? Pay off your credit cards IN FULL every month. Do you rely on your credit cards for emergencies? Well, if you continue to follow this plan, you will be building an emergency fund, then later a fully-funded emergency fund to fall back on in the case of an emergency... or emergencies. So Baby Step 0.1 is to commit to never borrowing money again (except for a home). How do you feel about this? Please let me know. The next penny-sized step is that I'll be examining in a few days is to get on the "same page" with your spouse. Take care.